I will start by taking back everything I ever said about Murakami before picking up this book. My experiences of The Strange Library left me so underwhelmed that I had almost written him off, but after being gifted a copy of Norwegian Wood by my brother, I thought it was worth trying his work again (especially as I had now been to Japan, and I had Emily at The Geek Undergraduate as my reading companion). And I’m so glad I did. Watanabe was an exceptional narrator. He offered witty dialogue and fascinating internal monologue in which he was honest and philosophical about the world around him. And yet I often felt quite detached from him; he plays a passive role in his own life, and most of the plot is driven by the personalities around him – the crazy Midori, the charismatic Nagasawa, the vulnerable Naoko, the musical Reiko. When alone, Watanabe tends to read, think and sit in coffee shops, but these characters drag him out of his comfort zone and push the plot along. It is only really near the end of the book that he is forced to make decisions on his own, building up to an ending that left me quite shaken up! I can’t recall the last time I read a book with such well constructed characters. I kept thinking to myself, “how did Murakami even create these people?” I would love to know if they are based off real people, because some of them – Midori and Nagasawa in particular – are so extreme and intrinsically realistic that they could only reflect real life personalities. I felt the same way when reading The Secret History by Donna Tartt, and there are a lot of similarities between the two books – Nagasawa would no doubt be at home alongside that unusual, rich group of Classics students. Both novels deal with characters of great intelligence, and I think this very much a reflections of the authors themselves – I think Murakami must be quite a remarkable man to have written such a book. My only criticism is that at times it felt fairly obvious that it was a translated text – certain parts did not flow as well as others, but it didn’t particularly detract anything from the reading experience. If anything, it added a sort of authenticity to the fact the book is based in Japan, and it gave me a lot of satisfaction to see references to places I visited on my own trip to Tokyo. 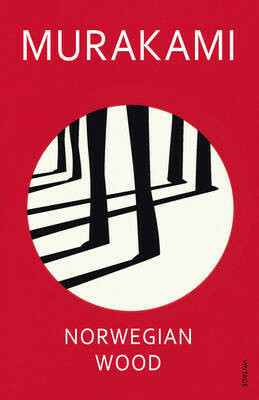 I think Norwegian Wood is a book I will carry with me for a number of years, and I am thrilled to know there are many more Murakami books waiting for me to read (plus, I just realised I can now tick one more off Amazon’s 100 Books to Read in a Lifetime list).